My ‘H’ Loafers in tan just happened to match a handbag I already had! 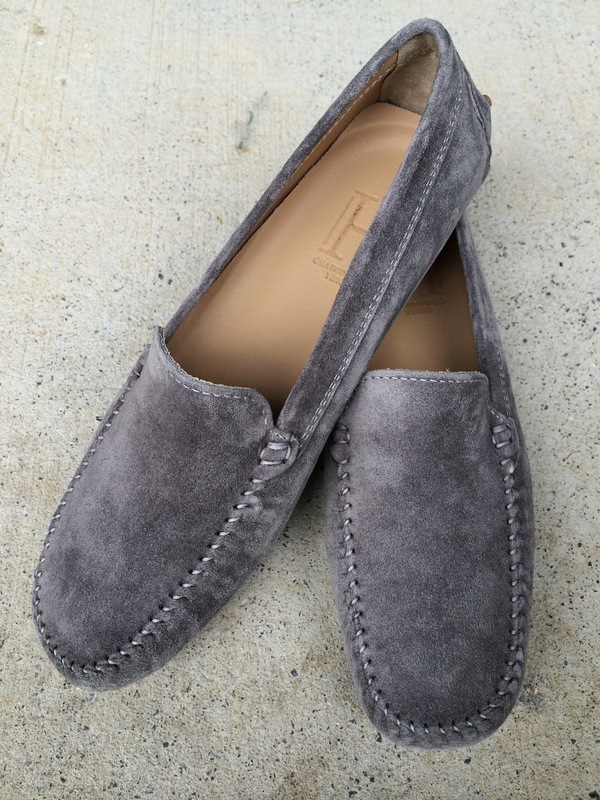 THE classic driving shoe or car shoe is an Italian “invention”, which married the classic native American moccasin with a distinctive rubber-pad sole to provide comfort, flexibility and practicality. Giulio Miserocchi claims to have invented the driving shoe in 1942, while the well-known brand Car Shoe (now owned by Prada) was established in 1963 after Gianni Mostile was awarded the patent for “the innovative” shoe. Whoever is responsible, the driving shoe epitomises Italian design and is considered a staple of an Italian summer wardrobe. Recognisable by the characteristic rubber studs on the sole and heel, they speak of lazy days in Capri or the traditional evening la passeggiata where new romances are on display as well as new shoes! Worn by men, women and children, it’s not surprising many brands are now doing variations of this classic wardrobe must-have. 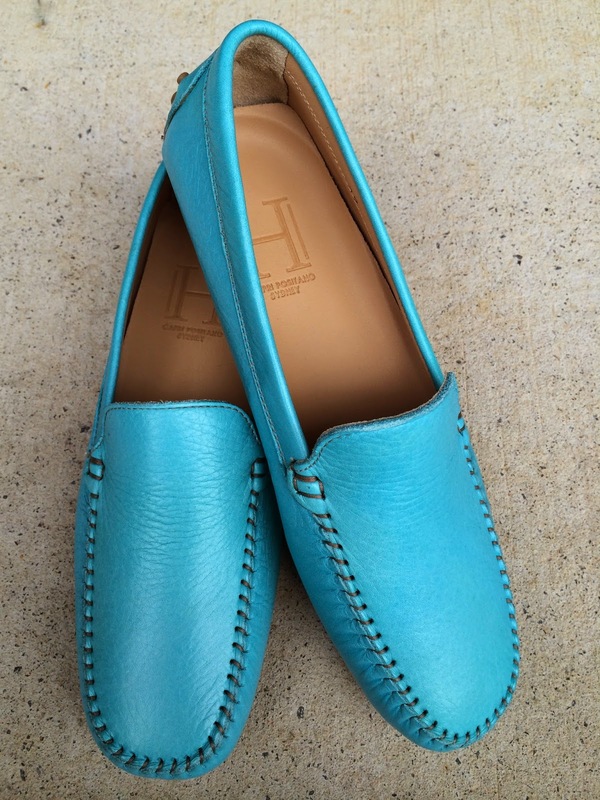 One brand that has recently come to my attention is the new ‘H’ loafer, by Victoria Hampshire and Raffaele Lombard. A companion to their ‘H’ Sandals (of which I bought several pairs last summer), the essence of the ‘H’ brand is the company’s unique bespoke service. Victoria and Raffaele are inspired by their lives on the Amalfi Coast, where Raffaele is from, and work with expert artisans to develop the made-to-order service, which allows customers to choose from a range of colours and materials (leather or suede) as opposed to a standardised seasonal range, and deliver the finest quality products. 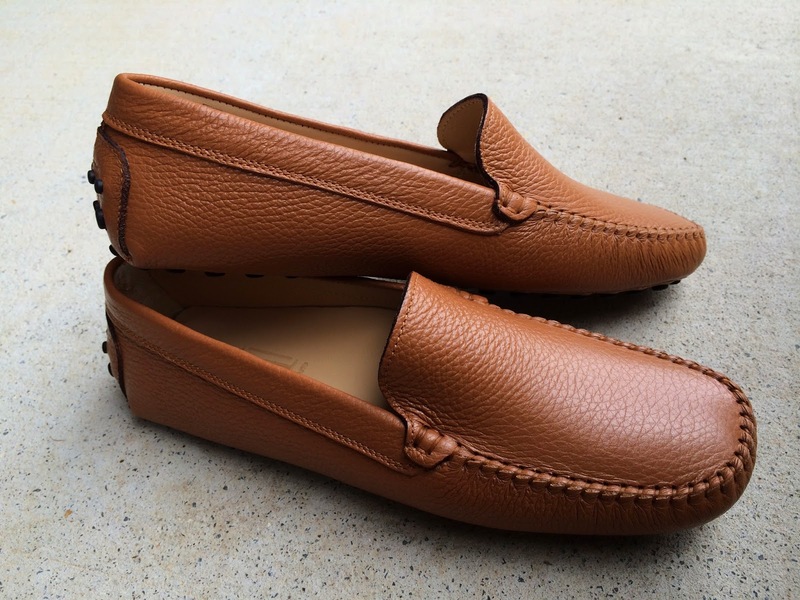 I ordered a pair in the tan leather, a classic colour that works back with my wardrobe. It took about six weeks, but they are certainly worth the wait. They are perfect with my favourite denim jeans and classic tailored black pants. In summer I can’t wait to pair them with my white jeans and summer shorts. And it was just my luck, that the colour was a perfect match to a tan leather handbag I already had. Double bonus! 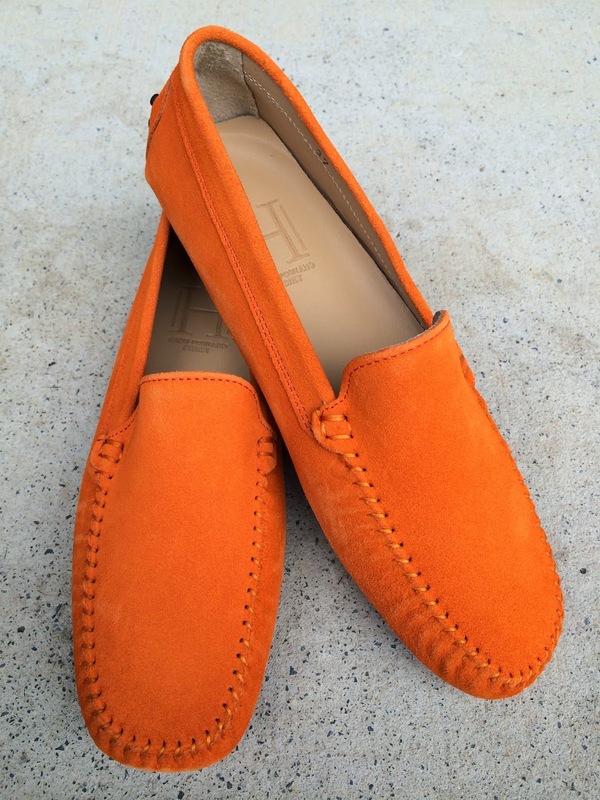 The first Australian boutique to stock the new ‘H’ Loafers is Deer Mudgee, which has ordered five colours – azzuro, orange, tan, navy and grey (pictured above). Go on and sink your feet into a pair. They'll love you for it! 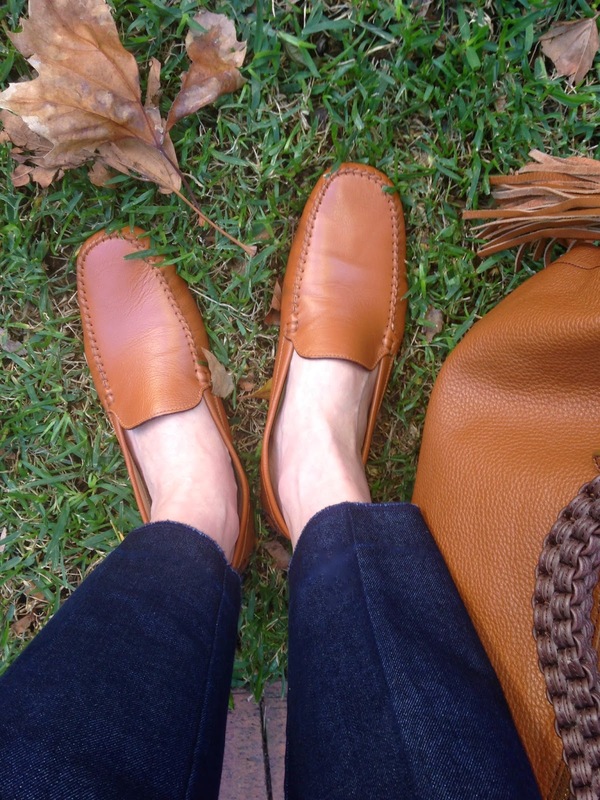 Do you love a loafer? Walk a mile in these shoes? But what colour would you order them in? Would love to hear from you.